The Kansas Jayhawks football program is the intercollegiate football program of the University of Kansas. The program is classified in the NCAA's Division I Bowl Subdivision (FBS), and the team competes in the Big 12 Conference. The team's head coach is David Beaty, who is in his second season in 2016. The program has a long history. Its first season was 1890, making it one of the earlier football programs established in the nation. The team's home field is Memorial Stadium, which opened in 1921 and is the seventh-oldest college football stadium in the nation. Until a few years ago, Kansas also boasted one of the few tracks that encircled a football stadium in Division I. KU's all-time record is 579–610–58, as of the conclusion of a winless 2015 season. Notable former Kansas players include Pro Football Hall of Famers Gale Sayers, John Riggins, and Mike McCormack, as well as All-Americans John Hadl, Bobby Douglass, Nolan Cromwell, Dana Stubblefield, Aqib Talib, and Anthony Collins. Kansas has appeared in twelve bowl games, including three trips to the Orange Bowl (1947, 1969, and 2008). Kansas played in the first NCAA-contracted nationally televised regular season college football game on September 20, 1952, against TCU. The most successful era for KU football was 1890 to 1932, when the program recorded two undefeated seasons and posted an overall .643 winning percentage. From 1933 to 1968, the Jayhawks continued to find success on the football field, sharing three conference titles and attending their first bowl games, but the team's overall winning percentage during that era slipped to .477 (158–174–22). From 1969 through the 2015 season KU's winning percentage slipped further to .392 (207–323–9), and ten of the eleven (non-interim) coaches at KU during this era have losing records. During the 2012 season, the program's all-time winning percentage fell below .500 for the first time since KU finished 1–2 in 1890. Nevertheless, even during these lean years, the team has had some successful seasons, winning the Orange Bowl in 2008 and twice finishing in the top 10 of the AP Poll. Will Coleman was player-coach for the first Kansas Jayhawks football team in 1890. The University of Kansas fielded its first football team in 1890, led by player-coach Will Coleman. Kansas traveled to nearby Baker University to play the first college football game in Kansas to start that season. After playing an abbreviated three-game season in 1890, KU played its first full schedule in 1891 and immediately found success, posting a 7–0–1 record under head coach E. M. Hopkins. The 1891 season also featured the school's first football game against the University of Missouri – the first game in what would become the long-running Border War rivalry – a 22–8 KU victory in Kansas City. In 1899, Hall-of-Famer Fielding H. Yost served one season as KU's football coach, posting the first perfect season in school history (10–0). After the turn of the century, Hall-of-Famer John Outland, who played at KU in 1895–1896, returned to Kansas to serve as head coach, but struggled to a 3–5–2 record in his only season in 1901. The 1902 season featured the program's first game of its rivalry against Kansas State, a 16–0 Jayhawk win. 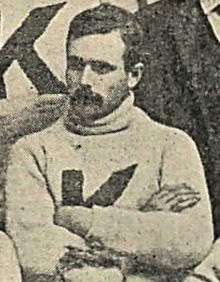 The program had ten head coaches in its first 14 seasons, but A. R. Kennedy took the position in 1904 and held it for the next seven highly successful seasons, through 1910. Kennedy's overall coaching record at Kansas was 52–9–4. This still ranks as the most wins for any Kansas head coach, and puts him fourth at the school in terms of winning percentage (.831). Kennedy's best season was 1908, when the Jayhawks posted the school's second ever undefeated season (9–0) and won the school's first major conference championship, in the Missouri Valley Intercollegiate Athletic Association. KU has not had another undefeated season since 1908. Kennedy was also one of the best performing coaches for Kansas in the Border War (as of 2007 called "Border Showdown") between Kansas and Missouri, going 4–1–2 (.714) against MU as a coach and 7–1–2 (.800) against MU cumulatively as a coach and player. A. R. Kennedy is the winningest coach in KU history. Kennedy's long tenure was followed by another period of rapid turnover in coaches, with seven head coaches for KU in the next ten seasons. The most successful of these was Herman Olcott, who had a three-year tenure as head coach from 1915 to 1917, posting a record of 16–7–1 (.688). 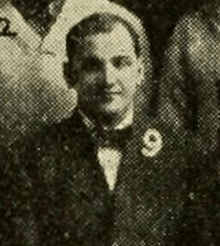 Basketball coach Phog Allen also served one year as head football coach during this era, with a record of 5–2–1 in 1920. Potsy Clark finally returned some stability to the position, serving as KU's head football coach for five seasons, from 1921 to 1925. Although Clark would later go on to find success as an NFL head coach, at KU he amassed a 16–17–6 record in his five seasons and left the school as the first coach with an overall losing record since John Outland in 1901. Football innovator Bill Hargiss – one of the first in the sport to use the huddle and forward pass – was hired as KU head coach in 1928. Hargiss coached the team to a Big Six championship in 1930, but could not sustain success and was fired only two games into the 1932 season, after the Jayhawks lost at home to Oklahoma, 21–6. Hargiss recorded an overall mark of 18–16–2 (.528) as KU head coach. Through the end of Hargiss's tenure in 1932 the Jayhawks football program had registered a great deal of success, with only four of the first twenty coaches at KU suffering losing records. Beginning with Hargiss's successor Adrian Lindsey's 23–30–8 mark at KU, four of the next seven coaches at KU would post losing records. KU alum Adrian Lindsey was hired by his alma mater as head football coach in the middle of the 1932 season, taking over after the mid-season firing of Bill Hargiss. Lindsey led the Jayhawks to a 4–2 record during his first partial season. Lindsey's teams thereafter struggled to find success on the football field, posting an overall record of 23–30–8 during Lindsey's time as head coach. Lindsey was replaced after the 1938 season. In 1939, Gwinn Henry, formerly head coach of the rival Missouri Tigers from 1923 to 1931, was hired to take over the struggling Jayhawks football program. In four seasons at KU, Henry failed to find much success on the field, going a dismal 9–27 – the worst record of any KU head coach to that time. Because of the struggles, Henry was fired after the 1942 season. Henry Shenk was hired to replace Gwinn Henry but failed to turn around the Jayhawks football program, which by this time had fallen to the bottom of the Big Six Conference. Shenk's teams fared better than his predecessors, but failed to post a winning record in any of his three seasons. Shenk's final record at KU was 11–16–3. Though he was KU's head coach for only two years, George Sauer had an immediate impact on the program and was the most successful Jayhawks coach since A. R. Kennedy. Both of his KU teams won a share of the Big Six Conference, posting records of 7–2–1 and 8–1–2. His 1947 team was invited to KU's first bowl game, the Orange Bowl. Despite falling 20–14 to Georgia Tech in the bowl game, KU finished the 1947 season ranked No. 12 in the AP Poll – the program's first appearance in a final poll. Sauer departed after his successful 1947 season to accept the head football coach position at Navy. His final record at KU was 15–3–3, giving him the highest winning percentage of any KU coach since A. R. Kennedy. He was inducted into the College Football Hall of Fame as a player in 1954. Jules Sikes came to Kansas from his post as defensive line coach at Georgia. Sikes had success at KU, in particular 7–3 seasons in 1948 and 1952, 6–4 in 1950 and 8–2 in 1951 that included a No. 20 ranking in the final Coaches' Poll. Despite several winning years, a 2–8 season in 1953 sealed his fate as head coach. He was fired after the dismal season. His final record with the Jayhawks was 35–25. Sikes was the last coach to leave KU with a winning record until Mark Mangino in 2009. Chuck Mather was hired in 1954 as the 27th head football coach for the Kansas Jayhawks. He started his tenure with an 0–10 season in 1954, the first winless season in KU history. Mather continued to struggle at KU, leaving after the 1957 season with an overall coaching record at Kansas of 11–26–3, ranking him 18th at Kansas in terms of total wins and 34th in terms of winning percentage. Jack Mitchell left Arkansas and came to the Jayhawks to replace Mather in 1958. His overall coaching record at Kansas was 42–44–5 in nine seasons. This ranks him fourth at Kansas in terms of total wins and 20th at Kansas in terms of winning percentage. Mitchell's teams made one bowl appearance at KU, the 1961 Bluebonnet Bowl, a game KU won. That year, the Jayhawks finished the season with a 7–3–1 record and a No. 15 ranking in the final Coaches' poll. Mitchell's 1960 team also was successful. That year, the Jayhawks finished 7–2–1 and had a final ranking of No. 9 and No. 11 in the final Coaches' and AP polls, respectively. When Mitchell retired from coaching after the 1966 season he was viewed by many as the savior of the Jayhawk football program. UCLA assistant coach Pepper Rodgers was chosen as the head football coach after Mitchell's retirement. Rodgers led the Jayhawks to the Big Eight Conference title in 1968, the Jayhawks' most recent conference championship. That year, the Jayhawks finished the season with a 9–2 record, an Orange Bowl appearance (a 15–14 loss to Penn State) and final rankings of No. 6 and No. 7 in the final Coaches' and AP polls, respectively. Rodgers finished his tenure as KU head football coach with a 20–22 overall record in four seasons. He resigned after the 1970 season to accept the head football coach position at the school from which he came to KU, UCLA. A longtime Kansas assistant coach, Don Fambrough was elevated to head coach after the departure of Pepper Rodgers. During his first stint as head coach, Fambrough's best season was in 1973, when the Jayhawks finished the season 7–4–1 and made an appearance in the Liberty Bowl, a game they lost. That year, Kansas finished the season ranked No. 15 and No. 18 in the Coaches' and AP polls, respectively. However, when Kansas regressed to 4–7 in 1974, Fambrough was fired. Fambrough returned as head coach in 1979, and his second tenure as head coach is best known for the Jayhawks' 1981 season, that ended with an 8–4 record and an appearance in the All-American Bowl which, like many bowl games before it, resulted in a loss for the Jayhawks. Fambrough retired after the 1982 season. His second tenure produced an 18–23–4 record, giving him an overall record of 37–48–5 in eight seasons at KU. In 1983, Kansas was found guilty of numerous recruiting violations, principally involving one of Fambrough's assistants. As a result, Kansas was banned from postseason play and live television in 1983. Fambrough was cleared of wrongdoing, but the assistant was slapped with a three-year show-cause penalty, which effectively blackballed him from the collegiate ranks until 1986. Kansas hired Bud Moore, previously Alabama offensive coordinator under Bear Bryant, to replace Fambrough after his first exit from the Jayhawks. In his first season in 1975, Moore was named Big Eight Coach of the Year and was runner up to Woody Hayes as the Football Writers Association of America National Coach of the Year. Moore led his team to a 23–3 upset over eventual national champion Oklahoma, breaking the Sooners' 37-game winning streak. That year, the Jayhawks received a bid to the Sun Bowl, a game they lost, giving the Hawks a final record of 7–5. After Moore's first season, his Jayhawks struggled to find success on the football field, and his teams' records declined each year. In 1976, the Jayhawks finished 6–5 followed by 4–6–1 in 1977 and then a dismal 1–10 in 1978. These struggles, plus lagging attendance, led to Moore's firing as head coach after four seasons. In 1983, KU hired Mike Gottfried away from Cincinnati to replace the Fambrough. Gottfried had a mediocre tenure as the Jayhawks head coach, making modest improvement each season, with records of 4–6–1, 5–6 and 6–6. His final record at KU was 15–18–1. Gottfried departed Kansas after three seasons to accept the head football coach position at Pittsburgh. He was succeeded by offensive coordinator Bob Valesente. During Valesente's two seasons as head coach, the Jayhawks compiled a record of 4–17–1 overall, and 0–13–1 against Big Eight opponents – finishing with a winning percentage of .205, the worst in school history to that time (since surpassed by Charlie Weis and Clint Bowen). The Jayhawks went 1–9–1 in 1987 with their only win being a 16–15 game against Southern Illinois. Valesente was fired at the end of the season. At the time of his firing, Valesente was in the second year of a four-year contract, which athletic director Bob Frederick said would be honored. Valesente told reporters, "I don't believe two years is enough to build a program. I just don't feel we've been given enough time." Valesente had undertaken efforts to improve the team's academic standing and noted, "I feel proud of the fact that we have begun to overcome some of the immense academic problems that have plagued us. We needed to first stop the academic attrition." Anthony Redwood, the chairman of the Kansas Athletic Corporation board and a business professor, resigned from the board in protest of the firing. Redwood noted, "Apparently we lack the courage at this institution to plan a course of action and stick with it. Certainly to the outside world this decision must call into question our commitment to the academic dimension of intercollegiate athletics." KU hired Glen Mason away from Kent State to take over the Jayhawks football program in late 1987. Mason restored promise into KU's football program, with four winning seasons in his nine seasons and two bowl victories, the 1992 and 1995 Aloha Bowl, defeating BYU and UCLA, respectively. These were the first KU bowl victories since the 1961 Bluebonnet Bowl. Those years, the Jayhawks finished 8–4 and 10–2, the latter of which tied a school record for victories in a single season, previously set in 1899. 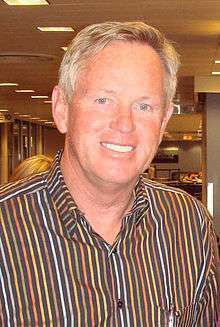 In 1995, as Kansas prepared for the Aloha Bowl against UCLA, Mason accepted the head coaching position at Georgia. Mason had a change of heart and stayed with the Jayhawks, but left for the Minnesota one season later. His final record at Kansas was 47–54–1. Coach Terry Allen came to KU from Northern Iowa after the departure of Glen Mason. Despite increased optimism from the fans and administration due to the successes of the previous coaching staff, Allen's teams continued to KU football tradition of struggling on the playing field, failing to compile a winning season in five years and finishing 21–35 in that span of time. Allen was fired after five seasons at Kansas. His best season was a 5–6 record his first year. The Jayhawks hired Mark Mangino, previously offensive coordinator at Oklahoma, as the new KU head coach in late 2001. The program had not posted a winning season in any of the 6 seasons prior to his arrival. While an intense, foul-mouthed and fiery coach, Mangino was able to enjoy success that previous KU coaches couldn't. In 2003, his second season at KU, Mangino led the Jayhawks to an appearance in the 2003 Tangerine Bowl (now known as the Russell Athletic Bowl). This was the first bowl appearance for Kansas since 1995. In 2005, his fourth season at KU, the team finished the regular season 6–5, to post its first winning record under Mangino, and went on to the Fort Worth Bowl, its second bowl game in three seasons. Among the Jayhawks' wins was a 40–15 victory over Nebraska, breaking a losing streak that had begun in 1969, which was the second-longest streak of consecutive losses to one team in NCAA history. The same year Mangino also built a defense that ranked 11th nationally in yards allowed per game and featured third-team All-American and Big 12 Conference Defensive Player of the Year linebacker Nick Reid. In 2007, Mangino coached the Jayhawks to a 12–1 record and the 2008 Orange Bowl. 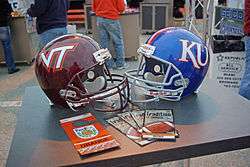 The Jayhawks defeated Virginia Tech 24–21 in that game, which gave the Jayhawks their first and only BCS Bowl Game appearance and victory. Mangino's Jayhawk defense was ranked 12th in the nation, and 4th in scoring defense. On the other side of the ball, the Jayhawks finished 2nd in scoring offense. Following a win against rival Iowa State, Mark Mangino became the first KU football coach with a winning career record since J.V. Sikes in 1953. While at Kansas, Mangino led the Jayhawks to 19 consecutive weeks ranked in the AP and/or USA Today polls (2007–08), 20 wins in a 2-year period for the first time in school history, set home attendance average records in each of the last 4 seasons (2004–2008), led KU to its first appearance in national polls since 1996 and to the school’s highest ranking ever at No. 2, and produced the top 3 total offense seasons in school history, the top two passing seasons and two of the top three scoring seasons and won three Bowl games—the same number they had won in their 102-year history combined prior to his arrival. Mangino also led the Jayhawks to victories in the 2005 Fort Worth Bowl and the 2008 Insight Bowl. With 50 victories, Mangino has the second-most victories in Kansas coaching history. Mangino was named AFCA Coach of the Year, AP Coach of the Year, Eddie Robinson Coach of the Year, George Munger Award winner, Home Depot Coach of the Year, Paul "Bear" Bryant Coach of the Year, Sporting News College Football Coach of the Year, Walter Camp Coach of the Year, Woody Hayes Coach of the Year and Big 12 Coach of the Year in 2007. 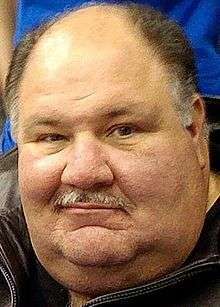 In November 2009, the recurring issue of Mangino's alleged misconduct towards his players became the subject of an internal investigation by the University of Kansas Athletic Department. He was formally accused of boorish and violent actions. National sports media coverage of this increased already-mounting public pressure on the university to terminate Mangino's employment. After a prolonged period of negotiations, the university and Mangino's attorneys agreed on the buy-out amount that was large enough to secure his quiet resignation as head football coach in December 2009. Mangino's final record at KU was 50–48. He was the first head football coach to leave the Jayhawks with an overall winning record since Jack Mitchell in 1966. On December 13, 2009, Turner Gill was hired away from Buffalo and announced as the new head coach of the Kansas football team. He was the first African American head football coach in KU history. On September 4, 2010, Gill lost his Kansas debut at home to FCS school North Dakota State 6–3. The following week, on September 11, 2010, Gill and the Jayhawks upset No. 15 Georgia Tech 28–25 followed by a loss at Southern Miss the next week 31–16 on September 17, 2010. The next week, the Jayhawks beat New Mexico State 42–16. The Jayhawks then went on to lose their first four Big 12 conference games at Baylor, against rival Kansas State, against Texas A&M and at rival Iowa State, during this period they were outscored 187 to 30. They then went on to win their first, and only, conference game of the year against Colorado, coming back from a 45–17 deficit in the fourth quarter by scoring 5 unanswered touchdowns. This was Kansas' last victory of the season as they would lose to ranked teams at No. 8 Nebraska, against No. 10 Oklahoma State, and against #14 Missouri. Gill finished his first season at Kansas being outscored 413 to 198, the worst scoring difference since 2002. KU also finished in the bottom tenth of teams in both offense and defense. Fans, alumni, the KU administration and Gill himself entered 2011 with hopes that things would turn around for the Jayhawks football program. However, they did not. The Jayhawks started the season 2–0, but finished on a 10-game losing streak. This included six of the most lopsided defeats in school history. 66–24 to Georgia Tech, 70–28 to Oklahoma State, 47–17 to Oklahoma, 59–21 to rival Kansas State, 43–0 to Texas and 61–7 to Texas A&M. The Jayhawks had low rankings in several statistical categories. The Jayhawks were ranked, out of 120, 101st in passing yards, 95th in points scored, 120th in points allowed, 106th in total offense, and were outscored 525–238. KU athletics director Sheahon Zenger fired Gill after just two seasons and a 5–19 overall record. The university owed Gill nearly $6 million, money that was due in just 120 days. To pay this, the university relied upon donations from Jayhawks boosters. During his tenure at Kansas, Gill had a 1–16 record against the Big 12—the one win being against Colorado in 2010. He also only won two games against AQ teams—Georgia Tech in 2010 and Colorado in 2011. Zenger hired former Notre Dame head coach Charlie Weis, who at the time was serving as offensive coordinator at Florida, as the new Jayhawks head football coach in December 2011. A big-name coach, Weis was popular among KU fans and was expected to use his prestige to lure recruits to KU and rebuild the football program. But Weis was fired four games into the 2014 season with a winning percentage of .185 (5–22), the worst of any coach in KU history to that date. Weis' 2012 Jayhawks team struggled to a 1–11 record in what was dubbed as a rebuilding year. During that season, the Jayhawks' all-time record dipped below .500 for the first time since the Jayhawks finished 1–2 in their inaugural season. Weis' 2013 Kansas team showed signs of improvement. Although they only compiled a 3–9 record, Weis' Jayhawks ended a 27-game Big 12 Conference losing streak, which spanned three years, with a 31–19 home victory over West Virginia in November 2013. Weis was fired on September 28, 2014 for "lack of on-field progress", and defensive coordinator Clint Bowen was named interim head coach. Bowen posted a 1–7 record as interim coach. On December 5, 2014, KU announced the hiring of Texas A&M wide receivers coach David Beaty as the Jayhawks head coach. Former interim head coach Clint Bowen remained at KU on the coaching staff as a co-defensive coordinator and assistant head coach. Beaty concluded his first season with an 0–12 record, the first winless season for KU football since 1954. In their 2016 season opener at home in Lawrence, Kansas beat Rhode Island, securing their first win since November 2014, winning 55–6. October 6, 1990: KU and rival Iowa State end their game in a 34–34 tie, giving KU the all-time NCAA Division I-A record for number of tie games with 58. Since then, the NCAA has introduced the overtime period in football games. Only a rule change would allow this record to be broken. December 23, 2005: KU's strong rushing defense, led by Big 12 Defensive Player of the year Nick Reid, finishes the season by limiting Houston to just 30 rushing yards in the Fort Worth Bowl, a KU bowl record, bringing its season average down to 83.3 yards allowed per game and breaking the school record of 109.2 set in 1948. It was the ninth time in the season the Jayhawks held their opponent to less than 100 yards on the ground. The Jayhawks held future NFL quarterback Kevin Kolb to 214 yards 0 touchdowns and 3 interceptions. For the season, their defense ranked 3rd nationally against the rush. November 18, 2006: The Jayhawk defense's record setting 23 game streak without allowing a 100-yard rusher ends in a 39–20 victory over rival Kansas State when K-State runningback Leon Patton rushes for 102 yards. The streak started following a 27–23 loss to Texas on November 13, 2004. November 25, 2006: In the regular season finale, senior running back Jon Cornish rushes for 126 yards in a 42–17 loss to Missouri to become KU's all-time single season leading rusher. His 1,457 yards surpassed the previous record of 1,442 yards set by Tony Sands in 1991. November 17, 2007: Kansas defeats rival Iowa State 45–7, moving to 11–0 for the first time in school history. September 12, 2009: Kansas defeats UTEP 34–7, going to 20–2 in their last 22 nonconference games since 2005. October 10, 2009: Todd Reesing throws 37 completions for 442 yards and 4 touchdowns, Kerry Meier had 16 catches for 142 yards an 2 touchdowns, Dezmon Briscoe had 12 catches for 186 yards and 2 touchdowns. Rankings are from the AP Poll. Since its inception in 2014, the Jayhawks have not been ranked in the College Football Playoff rankings. For the entire season-by-season results, see List of Kansas Jayhawks football seasons. The University of Kansas has a dormant rivalry with the Missouri Tigers. The rivalry has been dormant since Missouri moved to the Southeastern Conference in 2012, and there are currently no future games scheduled. Missouri indicated a willingness to continue playing an annual game, but Kansas officials expressed no interest in continuing the rivalry. When active, it was known as the oldest rivalry west of the Mississippi River. First played in 1891, the Jayhawks and Tigers met on the gridiron every year after through 2011, with the lone exception being 1918 (flu epidemic). The annual game was known as the "Border War," which derived its name from actual warfare that occurred during the Civil War between free-state "Jayhawkers" and pro-slavery "Bushwhackers" from Missouri. Six towns, including Osceola, Missouri, were pillaged and raided by the Jayhawkers. In retaliation, William Quantrill and his band of Bushwhackers burned Lawrence to the ground in what became known as the Lawrence Massacre. Ironically, Columbia, Missouri, the location of the University of Missouri was also nearly raided by Quantrill's band. The name of the rivalry was officially rebranded as the "Border Showdown" in 2004 out of deference to those serving in the Iraq War, but the historical name continued to prevail in usage. Each year the winner of the game was awarded a traveling trophy, the Indian War Drum. Kansas lost the 120th and most recent Border War game to Missouri in 2011, 24–10. In 1911, more than 1,000 people gathered in downtown Lawrence, Kansas to watch a mechanical reproduction of the game while it was being played. A Western Union telegraph wire was set up direct from Columbia, Missouri. A group of people then would announce the results of the previous play and used a large model of a football playing field to show the results. Those in attendance cheered as though they were watching the game live, including the school's legendary Rock Chalk, Jayhawk cheer. Missouri leads the all-time series over Kansas with a record of 57–54–9. The University of Kansas has a rivalry with the Kansas State Wildcats called the Sunflower Showdown. When the two teams compete in football, the winner is awarded the Governor's Cup by the governor of Kansas. Kansas leads the all-time series (64–44–5), while Kansas State has won more Governor's Cups (26–19–1). Recently, the competitions have not been as close as the previous ones. The two teams first met in 1902 and have played every year since 1911. It is the sixth-longest active series in NCAA college football – 104 consecutive seasons after the 2014 game. The Kansas-Nebraska series was the longest uninterrupted rivalry in college football until Nebraska's departure for the Big 10 Conference in 2011. Kansas and Nebraska met for the first time in 1892, and faced off annually from 1906 until 2010. Along with the Missouri rivalry, this gave Kansas the second- and third-most played Division I FBS college football series (Minnesota and Wisconsin have played one more game than KU-MU and two more than KU-NU). KU is only 23–90–3 all-time against the Cornhuskers (as of the last game in 2010), and from 1969 to 2004 the Huskers rang up 36 consecutive victories, second-longest in NCAA Division I (only Notre Dame's 43-game streak over Navy was longer). That streak ended on November 5, 2005, when Kansas defeated Nebraska 40–15 in Lawrence. They again beat Nebraska 76–39 in Lawrence on November 3, 2007. This was the largest number of points ever surrendered by a Nebraska team; the Jayhawks also set records for most points against Nebraska in a half (1st half, 48 points) and quarter (2nd quarter, 27 points). The 95 points scored by the Jayhawks in 2006 and 2007 combined is the largest consecutive two-year total in the series. Also, the 32 points scored in an overtime loss at Nebraska on September 30, 2006, was the most by any Jayhawk team in Lincoln since 1899, when KU won 36–20 in the two teams' eighth all-time meeting. Former head coach Turner Gill is a former athlete and coach for the Cornhuskers, playing football and baseball during his college career and returning as an assistant football coach for 1989, 1992–2004. The Ring of Honor is located atop the northern bowl at Memorial Stadium and is intended to honor Kansas All-Americans and others who have made a significant on-field contribution to the football program. For a complete list, see List of Kansas Jayhawks head football coaches. The Jayhawks have had 37 official head coaches, while one unofficial player-coach, Will Coleman, coached the team in their first year of existence in 1890. The current head coach is David Beaty, who was hired in December 2014. They have played in more than 1200 games in their 123 seasons. During that time, seven head coaches have led the Jayhawks to postseason bowl games: George Sauer, Jack Mitchell, Pepper Rodgers, Don Fambrough, Bud Moore, Glen Mason, and Mark Mangino. Six coaches have also won conference championships: A. W. Shepard, Hector Cowan, A. R. Kennedy, Homer Woodson "Bill" Hargiss, George Sauer, and Pepper Rodgers. Mason is the all-time leader in games coached at 101, while Mitchell and Mason are tied for the most years coached at nine. Kennedy is the leader in all-time wins at 52, and Wylie G. Woodruff leads in winning percentage among coaches who coached more than 1 year with a winning percentage of .833 with Kennedy just behind with a winning percentage of .831. As of the end of the 2012 season, Bob Valesente has the worst percentage among coaches who coached more than one season with a winning percentage of .205. Of the 37 different head coaches who have led the Jayhawks, Cowan, Yost, and John H. Outland (as a player, not a coach) have been inducted into the College Football Hall of Fame. Mark Mangino received 9 different coach of the year awards in 2007. ↑ NCAA (2009). "NCAA Football Award Winners" (PDF). p. 13. ↑ "KU primary & secondary color palette". University of Kansas. 2015-12-29. Retrieved 2016-04-03. 1 2 "Doc Kennedy". College Football at Sports-Reference.com. 1 2 "Potsy Clark". College Football at Sports-Reference.com. ↑ "Bill Hargiss at the University of Kansas, 1928". oberheide.org. ↑ AP (October 11, 1932). "Kansas Fires Grid Coach After Defeat". The Norwalk Hour. Retrieved March 15, 2011. ↑ "Adrian Lindsey". College Football at Sports-Reference.com. ↑ "Gwinn Henry". College Football at Sports-Reference.com. 1 2 "Henry Shenk". College Football at Sports-Reference.com. 1 2 3 "George Sauer". College Football at Sports-Reference.com. 1 2 "Jules Sikes". College Football at Sports-Reference.com. 1 2 "Lawrence Journal-World – Google News Archive Search". google.com. ↑ "Chuck Mather". College Football at Sports-Reference.com. 1 2 3 4 "Jack Mitchell". College Football at Sports-Reference.com. ↑ "Former KU coach Mitchell dies". CJOnline.com. 1 2 3 "Pepper Rodgers". College Football at Sports-Reference.com. ↑ "The Spokesman-Review – Google News Archive Search". google.com. 1 2 3 4 5 "KU mourns loss of Don Fambrough". KUsports.com. 1 2 3 4 5 "Don Fambrough". College Football at Sports-Reference.com. ↑ "The Tuscaloosa News – Google News Archive Search". google.com. 1 2 3 4 "Bud Moore". College Football at Sports-Reference.com. ↑ "Bud Moore: 1975–78". KUsports.com. 1 2 "Mike Gottfried". College Football at Sports-Reference.com. ↑ "Reading Eagle – Google News Archive Search". google.com. ↑ "25 years ago: Valesente hired as new KU football coach". LJWorld.com. ↑ "Bob Valesente Records by Year". College Football Data Warehouse. Retrieved 2010-05-03. ↑ "1986 Kansas Jayhawks". College Football Data Warehouse. Retrieved 2010-05-03. 1 2 "1987 Kansas Jayhawks". College Football Data Warehouse. Retrieved 2010-05-03. ↑ "Kansas fires Valesente". Spartanburg Herald-Journal. 1987-11-24. 1 2 "Valesente axed by Kansas". Hutchinson. 1987-11-24. ↑ "KU faculty angered, call move unjustified". Hutchinson. 1987-11-24. ↑ "25 years ago: Glen Mason hired as KU football coach". LJWorld.com. 1 2 "Georgia Reacts Quickly to Mason Snub, Names Donnan as Its Coach". Los Angeles Times. ↑ "Mason Hired at Minnesota". Los Angeles Times. ↑ "Glen Mason". College Football at Sports-Reference.com. ↑ "Kentucky New Era – Google News Archive Search". google.com. 1 2 "Terry Allen". College Football at Sports-Reference.com. ↑ "Bleacher Report". Bleacher Report. 1 2 3 4 5 6 7 "Mark Mangino". College Football at Sports-Reference.com. ↑ "Kansas nips Virginia Tech in Orange Bowl 24-21 - USATODAY.com". usatoday.com. ↑ "Kansas ( 12 – 1 – 0 ) Thru: 01/07/08". NCAA. Retrieved 2008-02-23. ↑ "Mangino Resigns as Head Football Coach". Official Website of Kansas Athletics. Lawrence, KS: University of Kansas Athletic Department. 2009-12-03. Retrieved 2012-10-16. Mark Mangino has resigned his position as head football coach at the University of Kansas, effective immediately. ↑ "North Dakota State Bison vs. Kansas Jayhawks – Recap – September 4, 2010 – ESPN". ESPN.com. ↑ "Georgia Tech Yellow Jackets vs. Kansas Jayhawks – Recap – September 11, 2010 – ESPN". ESPN.com. ↑ "Kansas Jayhawks vs. Southern Miss Golden Eagles – Recap – September 17, 2010 – ESPN". ESPN.com. 1 2 "2011 Kansas Jayhawks Football Schedule". FBSchedules.com. ↑ "Kansas Jayhawks fires coach Turner Gill following 10-game losing streak – ESPN". ESPN.com. ↑ Chris Oberholtz (November 28, 2011). "Boosters tapped to pay off KU Gill's contract". KCTV 5 News. ↑ "Kansas Jayhawks hire Charlie Weis as football coach – ESPN". ESPN.com. ↑ "KU football coach Charlie Weis once considered coaching from the press box". KUsports.com. ↑ "Kansas' 59–10 loss at West Virginia ends 1–11 season". CJOnline.com. ↑ "Charlie Weis will return as coach after Kansas finishes his second year 3–9". kansascity. ↑ "West Virginia Mountaineers vs. Kansas Jayhawks – Recap – November 16, 2013 – ESPN". ESPN.com. ↑ "Kansas fires Charlie Weis". ESPN.com. ↑ Kahn, Jr., Sam (December 5, 2014). "Kansas hires David Beaty as coach". ESPN.com. Retrieved December 5, 2014. ↑ "Coaching Records Game by Game". cfbdatawarehouse.com. ↑ "Division I-A All-Time Wins". cfbdatawarehouse.com. ↑ "Kansas Postgame Notes" (Press release). University of Kansas. November 26, 2005. Retrieved October 7, 2006. ↑ "KU-KSU Postgame Notes" (Press release). University of Kansas. November 18, 2006. Retrieved November 19, 2006. ↑ "Kansas Postgame Notes vs. Missouri" (Press release). University of Kansas. November 25, 2006. Retrieved November 25, 2006. ↑ "Missouri Tigers' move to SEC official, but Big 12 hurdles remain – ESPN". ESPN.com. ↑ "100 years ago: Football fans enjoy mechanized reproduction of KU-MU game". Lawrence Journal-World. November 27, 2011. Retrieved December 27, 2011. ↑ Olson, Kevin (December 2, 2014). "1910: The lost year of the Sunflower Showdown". The Manhattan Mercury. Retrieved 2014-12-05. ↑ "Nebraska-Kansas football series – HuskerMax™". huskerpedia.com. ↑ "Kansas Postgame Notes vs. Nebraska" (Press release). University of Kansas. September 30, 2006. Retrieved October 7, 2006. ↑ BabyTate (2008-08-06). "Five Brutal Defensive Alignments That Changed College Football Forever". Bleacher Report, Inc. Retrieved 2012-10-12. ↑ "NFL Players by College – K – National Football League – ESPN". ESPN.com. ↑ "AFL Player Profile". Arenafootball.com. ↑ "KANSAS FOOTBALL 2012 MEDIA GUIDE" (PDF) (Press release). Lawrence, Kansas: University of Kansas. August 2011. Retrieved July 9, 2013. ↑ "HALL OF FAME – INDUCTEE DETAIL;Hector "Hec" Cowan". Member Biography. National Football Foundation. Retrieved July 9, 2013. ↑ "HALL OF FAME – INDUCTEE DETAIL;Fielding "Hurry Up" Yost". Member Biography. National Football Foundation. Retrieved July 9, 2013. ↑ "HALL OF FAME – INDUCTEE DETAIL;John Outland". Member Biography. National Football Foundation. Retrieved July 9, 2013.